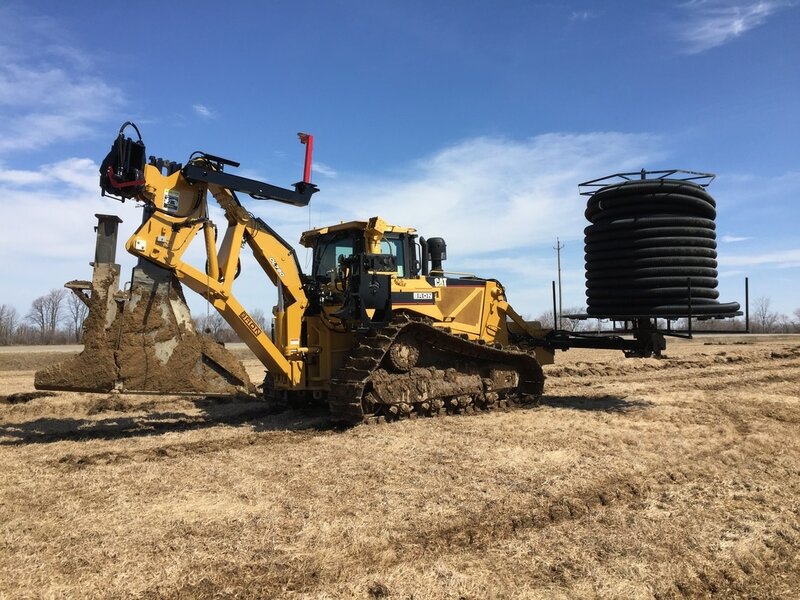 Owner and operator, Steven Roy, has a real passion for improving drainage on farm fields and takes on every project as if it was on his family farm. He enjoys visiting with farmers about what a positive impact drainage has had on their farming operation and takes pride that Redline Drainage was a part of that. Steven grew up on a large farm in Clinton County, NY where his family raised heifers and his mother worked for a feed company as a dairy nutritionist. The majority of all the land that was owned and leased was tiled throughout the years after his father and uncle bought the farm from his grandfather. Steven always wanted to be at the farm and in the fields, but was encouraged to attend college. He received an Ag business degree from Suny Cobleskill in 2005. Between the first and second year of college he joined a wheat harvesting crew out west. He really enjoyed meeting new people and learned quickly that once the equipment was loaded on the truck you can work anywhere. The acres covered during that summer stretched from Oklahoma to North Dakota. During this time the farm had purchased a tile plow from a neighbor and began to install their own drainage. When returning from college he went back to work on the home farm and had the opportunity to run the plow. Redline Drainage began in 2008 when Steven left the farm to start his own tile drainage business. After running the tile plow at the farm Steven purchased a Fiat Allis 21C with a Link plow which was laser guided. As the business grew RTK GPS technology was implemented in 2010 to increase efficiency when surveying and designing drainage systems. At this point the outlet layouts were still being drawn on paper, because of the topography of the land this hands on approach allowed for changes or discrepancies that needed to be made to get the best results from the drainage system. In 2017 Redline Drainage invested in a Caterpillar D8T with a Bron double link 750 plow. The machine is outfitted with a onboard reel and has the capability to install up to a 12 inch outlet pipe. We are committed to working with farmers to ensure the best results possible for their fields.